Obviously we’re not here to trash AirBnB (we love it! ), but we do think there’s more than a few awesome things about staying in hotels. We happen to have so much love for hotel life that we built our business on it. At BeRightBack, we take care of travel AND accommodation, so you’ve always got a surprise trip to look forward to, and somewhere quality to stay. We only book hotels rated 3 stars and above, and we don't book anywhere with less than a 3.5/5 Trip Advisor rating 💅. We pick hotels that give you the perfect base to explore your destination from - and although we don’t expect you to spend that much time in your room, here’s why #hotellife can really enhance your holiday. Quite honestly, we’ve had some buffet breakfasts in our time that bring tears to our eyes. The cereal dispensers! The variety of juices! That weird conveyor belt toaster thing! The savvy traveller staying in a hotel knows that as long as you don’t push your luck too far, ‘hotel breakfast’ really does mean ‘hotel breakfast and light lunch’. Stash an extra couple of bread rolls and slices of cheese (got to love a continental style breakfast) in a hotel shower cap and lunch is sorted. Or at least your mid morning snack as you size up the cafe / market / street food scene. Whether you’re super messy or a neat freak, staying in a hostel or self catering apartment with your mates is the ultimate personality reveal - and that can lead to.. tension. No one wants to draw up a cleaning rota on holiday, or get the side-eye for not waking up before noon. The great thing about hotels is that there’s a professional staff on hand who really don’t care either way. Cleaners and concierges aren’t here to judge, and even if they do, you’ll never know it. So don’t worry about making your bed, or leaving wet towels on the floor, or getting in drunk ‘n’ late - hotel staff have seen it all before (and worse). 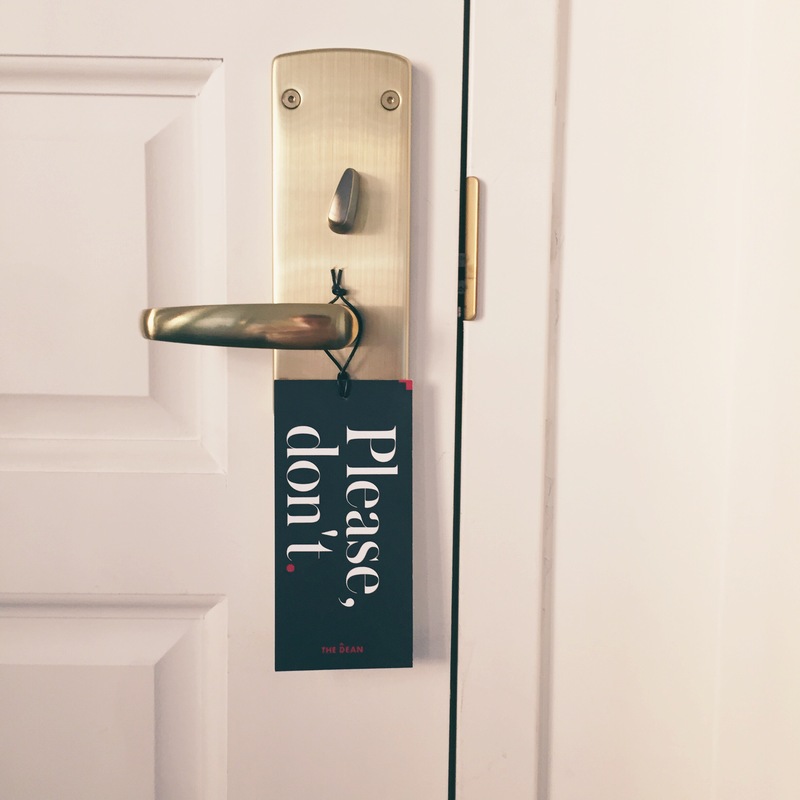 And if things get really bad, there’s always the Do Not Disturb sign. Yes, it’s expensive. Yes, it’s bouji. But nothing says ‘holiday’ like ordering an elaborate hotel breakfast in bed - it’s the reason you packed that cute nightwear, right? Even if room service is out of your budget / not the photoshoot story you want to capture for Instagram, it’s fun just ordering one drink at the hotel bar for the chance to say ‘put it on my tab’. Here’s where convenience is king: the hotel concierge. Imagine a holiday where you don’t have to share one house key between eight people, and you’ve got somewhere secure to store your suitcase once you check out. We love, love, love a 24-hour hotel reception (see the previous point about lack of judgement) and everything they provide: extra towels, a new hairdryer, the freedom to come and go as you please and best of all - their insider knowledge. Always ask your receptionist where’s good to go when you’re in their city.